Security Certifications: Important for Security Consultants? In today’s rapidly evolving security environment, security certifications such as Certified Ethical Hacker (CEH) or Physical Security Professional (PSP) enhance a security consultant’s career opportunities and provide skills necessary to counter ever-changing threats. A majority of employers consider certifications a key factor during their hiring process. When ranking applicants of relatively equal qualifications, employers tend to choose those with security certifications over those without. Why? Security certifications testify to a consultant’s subject matter expertise as established by industry standards, and thus are excellent indicators of credibility to potential for current employers. They also demonstrate a security consultant’s commitment to self-development and industry relevance, as most security certifications require regular recertification. Security certifications may not be job guarantees, but they certainly offer a competitive edge for security consultants looking to bolster their career opportunities. Certifications also enable a security consultant to acquire extensive knowledge they might otherwise be lacking. A lack of knowledge in security is a potential vulnerability. With the number and variety of threats increasing daily, it is critical that security consultants stay current with industry information and best practices. A security consultant who obtains a certification is exposed to the latest practices and information, and therefore is better equipped to counter the latest threats. The large number of certifications currently offered allow security consultants with many opportunities to develop the skills required to remain effective in the midst of a dynamic environment. In simple terms, security certifications put more tools in a consultant’s toolbox. Physical Security Professional (PSP): The PSP certification offered by ASIS focuses on the physical security of organizations. Topics covered include: security systems, identification, risk analysis, and threat assessment. ASIS charges $300 for members and $450 for nonmembers for all of its certification exams. Certified Protection Professional (CPP): Also offered by ASIS, the CPP certification is much broader in scope than the PSP certification and requires more experience. The CPP currently covers 8 security domains including physical security, business principles and practices, and crisis management. ASIS charges $300 for members and $450 for nonmembers for all of its certification exams. Certified Protection Officer (CPO): The International Foundation for Protection Officers (IFPO) offers this certificate for students and security officers via online or correspondence courses. The CPO certification focuses on asset protection / security by providing information on a range of topics such as effective communication, use of force, and patrol principles. IFPO offers a package that includes the online course, textbook, and final exam for $380 for nonmembers and $342 for individual members. Certified Information System Security Professional (CISSP): Considered a gold standard in the field of information security, the CISSP certification is offered by the International Informational Systems Security Certification Consortium (ISC2). CISSP certification deals with a range of information security topics including security engineering and software development security. ISC2 offers the exam at $599. Certified Ethical Hacker (CEH): The International Council of Electronic Commerce Consultants (EC-Council) offers the CEH certification in order to train professionals to think like a hacker so that they can counter hacking threats more effectively. The exam costs $500 for students who take a CEH course, and $600 for students who choose to self-study. The IMG Group has considerable experience in executive travel security, corporate risk assessment and more. Corporate or business organizations concerned about their need for corporate security expertise can reach out to the IMG Group for assistance. 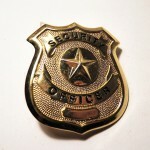 The company’s expert security consultants provide services such as corporate VIP security, employee travel medical assistance, workplace violence consulting, crisis management consulting etc.